As a direct result of feedback from our customers, a major feature of our new website is allowing payments for purchases by credit or debit cards. This is obviously a faster and more convenient system than the ‘bank transfer only’ system that it replaced. The introduction of the new card payment system resulted from several months of research, negotiation and development work on our part. Our biggest concern, which we obviously share with our customers, is the issue of security. Here at UKBullion.com we take security very seriously; we have to, as the nature of our business and products make us a very tempting target for the dishonest. These concerns also extend to ensuring that our customers are fully protected when interacting with us online. We have installed the latest High Grade Encryption System (AES – 256, 256 bit keys) on our website in order to protect your personal information. The page you are viewing was encrypted before being transmitted over the Internet. 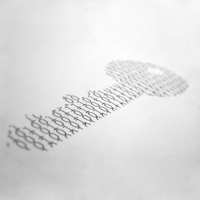 Encryption makes it very difficult for unauthorized people to view information travelling between computers. It is therefore very unlikely that anyone read this page as it travelled across the network. Another major concern was online card fraud. The on-line shopping revolution has brought huge advantages to consumers but a downside for retailers was an initial surge in online credit and debit card fraud. The value of UK online card fraud peaked in 2008 at over £328 million but has reduced since then to £220 million in 2011 as processes were developed to counter fraudulent activities online. Following detailed negotiations we selected Secure Trading/First Data to become our Card Payment Processing partners. 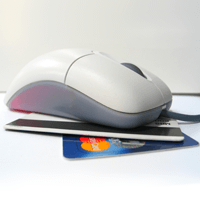 Secure Trading provide us with a Level 1 PCI DSS compliant payment gateway. This secure portal joins with our website and allows customers to input their card details directly into the Secure Trading system. We do not receive card details through our own site so there are no issues relating to interception of sensitive data and we do not store card details, therefore we cannot be a target for criminals looking to steal your card data. First Data are involved in the processing of payments and again this is achieved through secure links that exclude our own site. Customers’ data and card details are secure. Additional security measures include state of the art security processes, linked to nationwide databases that instantly check user details and look for clues that a transaction may be fraudulent. These measures, together with the 3D Secure verification system (Verified by Visa and Master Card Secure Code) give the best protection available to our customers and to ourselves as retailers, when transacting online. As part of our security protocol we will only deliver consignments, which must be signed for on receipt, to the registered address of the card used to make payment for the consignment. We believe that our card processing facility provides the most secure online card payment environment available today.